CyclingPub.com - Tirreno-Adriatico - Adam Yates: Whether or not I can hold on tomorrow, we'll find out won't we? 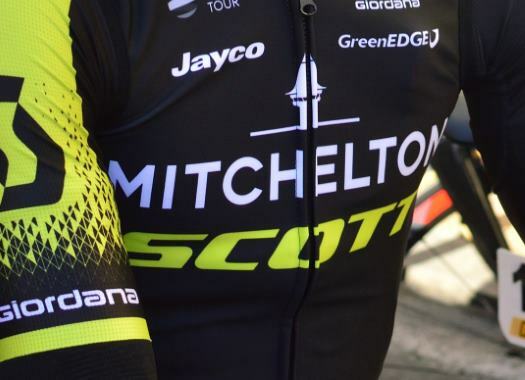 Mitchelton-Scott's Adam Yates arrived safely to the finish line of Tirreno-Adriatico's penultimate stage, extending like this his GC lead. The stage was straightforward and finished in a bunch sprint, in which Julian Alaphilippe came out victorious. "Another tough stage, a fast one and towards the end the wind was picking up a little bit and when it's a circuit it's always tricky, there's always the different direction changes and the wind could be a factor," said the rider. "In the end, it wasn't a factor, but teams get stressed and want to hold position and there's a big fight for the front, but we got through it in one piece, the team rode great again." The last stage of the Italian race will be a 10-kilometre individual time trial in and around San Benedetto del Tronto, in which Yates will try to maintain or increase the 25-second advantage he has over Jumbo-Visma's Primoz Roglic. "Like I said yesterday and like I said from the beginning, I'll do my best and if it's not good enough, it's not good enough," he commented. "I came here to win stages and I didn't manage to win a stage but I got close on a couple of occasions and we've held the jersey for a few days now. So in my mind, it's been a good race, a good race for the team and whether or not I can hold on tomorrow, we'll find out won't we?"